This really does apply to all of us. We were all made to stand out, thrive, contribute and feel our best. 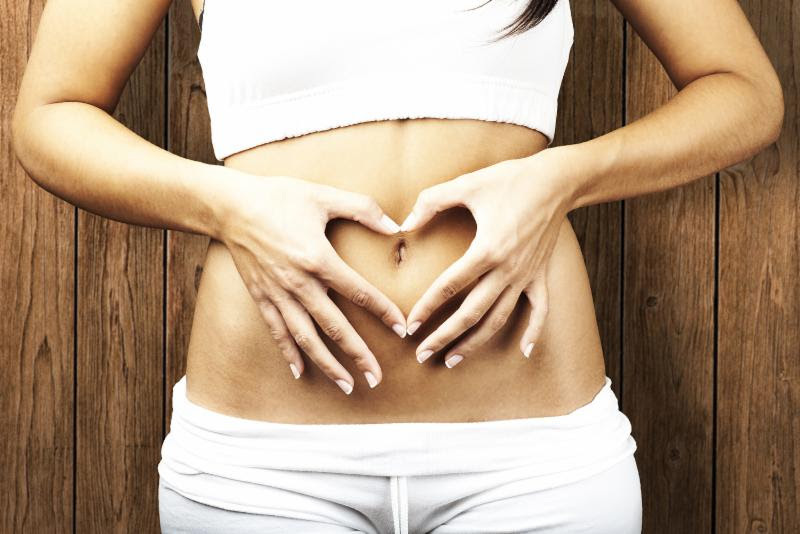 While I realize nutrition and feeling good isn’t everything – it definitely affects the way you feel about yourself – mood, energy, vitality and confidence. It all goes back to what nutritional pioneer Adele Davis once spoke, “We are indeed much more than we eat, but what we eat can help us to become much more than whom we are”. Eat better, do better- that I know for sure. So as we enter the colder months, this newsletter is filled with great reads, inspiring before and after pictures, products you will love and... some delicious easy to make recipes. If you want to give us any feedback on our newsletter or have a story or product you want to share – simply e-mail us at drjoey@drjoey.com. We always love hearing from you! When is the best time to lose weight? The honest answer is... now! Why wait to feel better? There will always be parties, holidays and family functions to attend. So... don’t put your energy, health and weight loss goals on the back burner – take the plunge now! ﻿A huge congrats to Jen and Gabe who joined Shulman Weight Loss and had amazing results. 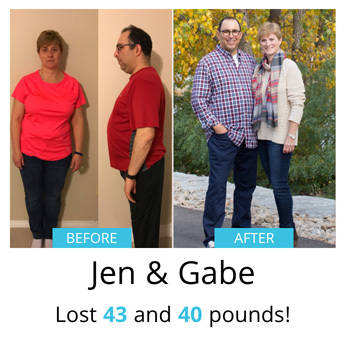 Jen is now down 43 pounds and Gabe is down 40 pound. Simply call in and book at Ontario’s #1 weight loss clinics to lose weight in a hormonally balanced, private and 1 on 1 setting. We can’t wait to hear from you! These tasty little protein packed seeds are the perfect topper for any meal that needs a kick of protein or healthy fats. 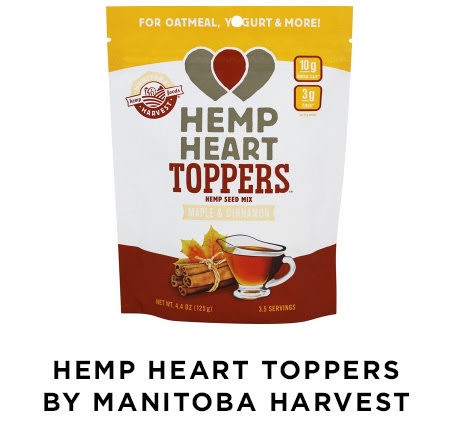 You can sprinkle hemp heart toppers on oatmeal, chia seed pudding, yogurt parfaits or blend into smoothies. This delicious maple and cinnamon flavor is sweetened with all organic ingredients, including coconut sugar, maple syrup and cinnamon. With 10g of protein and 10g of omega-3 and omega-6 per serving, you simply can’t go wrong! Available in a variety of flavors including coconut and cocoa, onion, garlic and rosemary and chipotle, onion and garlic. 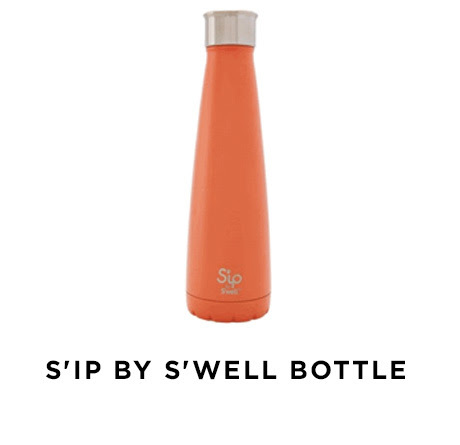 The new S’ip bottles are a stylish, updated version of the ever so popular S’well water bottles. This sister brand was designed as a playful and bright design alternative that allows everyone’s individual personality to shine. The 15oz, insulated stainless steel bottles keep your drinks hot for 12 hours and cold for 24 hours, allowing you to sip all day long. The leak-proof top allows you to throw your bottle into your car or purse without the worry of spills or leaks. Let your personality shine through with their large variety of colours and patterns. These crunchy, gluten-free roasted broad beans crisps are loaded with delicious smoky flavors including garlic, onion, chili powder and paprika. 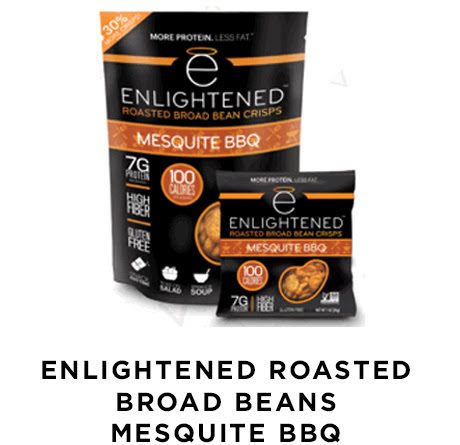 Each serving contains 100 calories, 7g of protein and 5g of fiber – making these crunchy beans ideal to throw into soups and salads or to have on their own as a well balanced afternoon snack. Check them out for other delicious flavors to try. 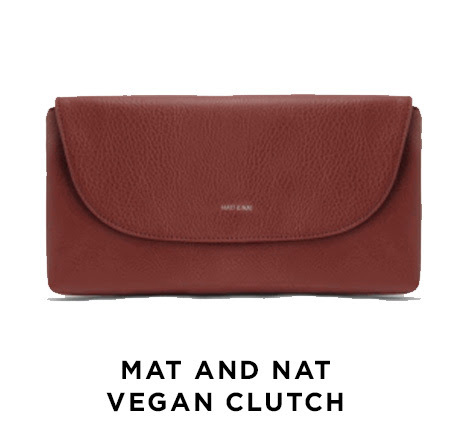 This stylish, oversized clutch by Matt and Nat is a must-have fall accessory this season! This sustainable and eco-friendly bag is made with soft vegan pebbled leather while the nylon lining is made with 100% recycled plastic bottles. The clutch has a zippered pocket plus a smart phone pocket to help keep you organized. Also available in black, grey and tan. Feeling a cold coming on? 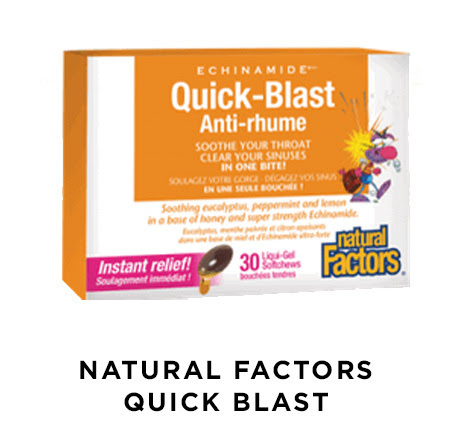 Grab a Quick-Blast for relief of cold symptoms, such as a sore throat and sinus congestion. These fast-acting liquid-gel soft chews help boost the body’s ability to fight infections and reduce the length and severity of the common cold. Each soft chew contains a blend of Echinacea (a fresh herb extract), honey, menthol, lemon oil, peppermint oil and eucalyptus oil. Be prepared and keep them on hand this cold season! Add all ingredients into blender and blend on high until smooth and creamy. Add water if you would like to change the texture of your smoothie (water will make it less thick). Preheat oven to 350 F. Place bones in roasting pan and roast for 30 minutes. Once roasted, place the bones in a large stock pot and pour water over the bones. Add the onion, carrots, celery, sea salt and bay leaf to the pot. Bring the broth to a boil and once boiling, reduce to a simmer. Remove any impurities at the top with a strainer. During the last 30 minutes, add the garlic and dill/parsley. In a bowl, add soya sauce, water, honey, garlic, ginger and scallions. Whisk together until combined. Place salmon skin side down on parchment lined baking sheet. Spoon teriyaki sauce over each piece of salmon. Bake salmon for about 20 minutes, until opaque and flakey. Preheat oven to 350 degrees F and spray a 9-inch pie plate with coconut oil spray. Combine apple, honey/maple syrup and lemon juice in a medium bowl and mix together. Transfer to pie plate. In a separate bowl, combine rolled oats, almond flour, coconut sugar, cinnamon, and coconut oil. Sprinkle crumble mixture over the top of apples. Bake for about 40 minutes, until apples are of desired softness. If after 40 minutes, crumble topping is browning, but apples are not soft enough- place tin foil over the crumble and bake another 5-10 minutes. While cooling, add coconut milk and vanilla extract into a large bowl and use electric mixer on medium-high speed until resembles whipped cream. Top pie with a dollop of whip cream and serve. Get a lymphatic massage or use a dry brush daily – The lymphatic system is a major part of the body’s immune system so give it some extra love with these effective techniques. Get plenty of zzzzz’s– Sleep is essential for a healthy immune system so get in bed a half hour earlier than normal and maximize those zz’s! Reduce your sugar – White, refined sugar suppresses the immune system response so reduce sugar wherever possible. Increase your exercise – Regular exercise is so important and helps to boost your immune system. Aim for 3 to 5 days of exercise each and every week! Incorporate vitamin C – Add vitamin C, through foods or supplementation, to boost immune system in preparation for cold and flu season. Oranges, dark green leafy greens and peppers are all great sources of vitamin C.
A modernized approach to meditation will appeal to anyone, even if - and especially if - you believe you have no time, you can't sit still, or that "it's just not you." Whether you're a Fortune 500 CEO or someone bogged down with a never-ending to-do list, the proven secret to being more effective and living a happier, healthier life is to hurry up and slow down, to unplug. Studies show that you can get more done - and do it better - by doing less, just by consciously unplugging for a few minutes each day and meditating. 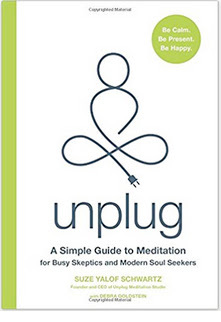 Schwartz simplifies this powerful practice and shows the overwhelmed and overworked how easy it is to unplug in order to relieve stress, regain focus, and recharge. 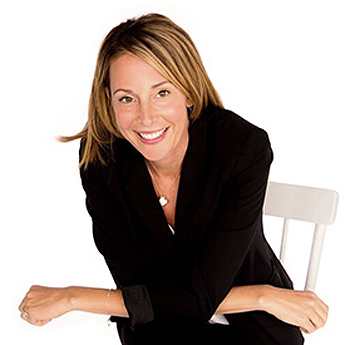 ﻿She debunks the common misperceptions about meditation, including the notion that you need to sit still for long periods of time, or that you need to "turn off your brain." She also shares the life-changing benefits you will experience, the proven science of how meditation literally changes your brain, as well as easy techniques and tips to easily incorporate meditation into your daily life.